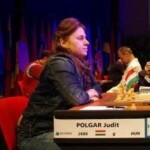 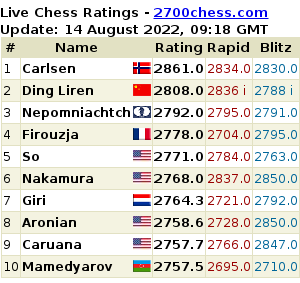 While Vladimir Potkin’s transformation from coach into major tournament winner was impressive, perhaps the most popular story of the recent European Championship was Judit Polgar’s spectacular return to form. 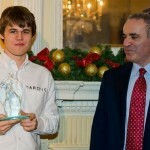 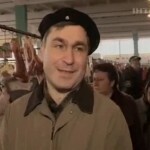 After the event she gave an interview to Evgeny Surov of Chess-News. 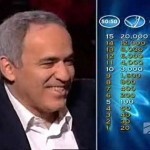 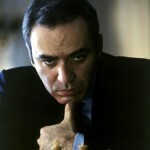 Garry Kasparov, with some help from his wife Dasha, recently won the Georgian charity version of “Who Wants To Be A Millionaire?”, answering 15 questions correctly to win 20,000 lari (about 11,400 USD) for a brother and sister requiring heart surgery. 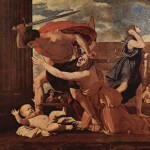 Could you have done the same? 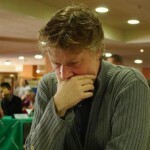 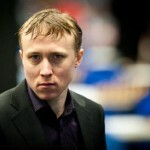 Answering reader questions almost a decade after becoming FIDE World Champion as an 18-year-old, Ruslan Ponomariov provides both a revealing insight into the life of an elite player, and a damning indictment of the chess politics that saw his match against Garry Kasparov collapse. 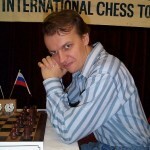 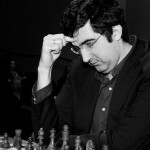 Grandmaster Sergey Shipov is providing live commentary at Crestbook on the Tata Steel Chess Tournament in Wijk-aan-Zee, and I’ll once again be taking on the foolhardy task of trying to translate his words almost immediately into English, here at Chess in Translation.